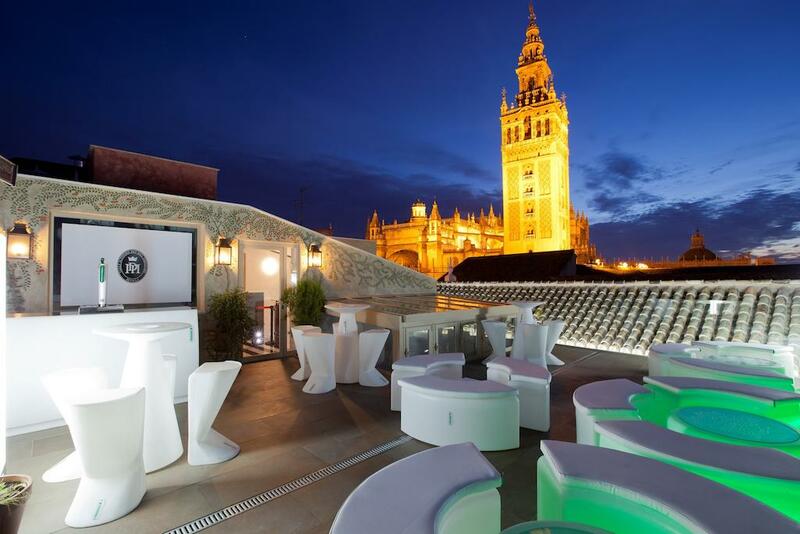 3 Nights at 4* Hotel Dona Maria, Sevilla, B/B. 2 rounds of golf at: Real Club de Sevilla. 3 Nights at 4* Hotel Dona Maria, Sevilla, B/B. 2 rounds of golf at: Real Club de Sevilla. Car Hire x 3 days. Based on 2 persons sharing a twin room. Located in the South of Spain, Seville is the capital city of Andalusia and one of the largest Spanish cities with over 700,000 inhabitants. The city occupies the valley of the Guadalquivir river. The river, with 60 navigable kilometres, was an important harbour during the Spanish conquest of the American continent and where silver and gold arrived to be distributed throughout the country. Seville is the birthplace of Flamenco and where the most amazing Easter processions take place. Famous worldwide for its culture, monuments, traditions and artistic heritage. Its rich history has left the city with innumerable monuments like the awesome cathedral, the third largest in the world, and the largest Gothic building in the world. It contains the tomb of Christopher Columbus. Built over the ruins of the Almohad mosque, some of the structure is still of Arab style, like La Giralda, the wonderful tower on the back of the cathedral. Reale Alcázares is an amazing royal palace built by the Christian kings of Castile. It is the oldest occupied royal palace in Europe and the king and queen of Spain still stay there when visiting Seville. The magical Barrio of Santa Cruz with its narrow streets is well worth a visit. A neighbourhood in the heart of Seville, with its narrow streets, white houses, flowers and iron grilles, once the Jewish quarter of the city. Sevilla´s Plaza de España is one of the city´s top attractions. This huge beautiful square was built for the Ibero-American exhibition of 1929. Decorated with ceramic tiles, fountains, bridges and baroque arcades while all along the square are benches representing each of the Spanish provinces. These are just a few of the historical and cultural sites worth a visit, not forgetting the perfume of orange blossoms on every corner. In Seville are three 18 hole golf courses. Vista Real Club de Golf Sevilla, the venue for the Spanish Open in 2012, featuring 90 spectacular bunkers and nine lakes or try Zaudin Golf in Tomares, Seville. Designed by Gary Player, the course winds through ancient olive groves and offers challenges for all levels of golfing ability. The Hato Verde Golf is part of a luxury residential estate and approximately a twenty minute drive from the centre of Seville. The course undulates over uneven terrain presenting a challenge for all players, with narrow fairways, 35 bunkers, six lakes and several water courses. Seville has its own regional airport, which is served by several low cost airlines flying from various locations, making the regions golf courses easily accessible for golf breaks and golf holidays in Spain.